What is the Global Cost of Talent? In order to help employers build a better understanding of the career and salary expectations of the world’s future business and engineering workforce, Universum have recently conducted a global talent survey, providing invaluable insights on how to attract, recruit and retain talent. What do workers expect to earn by country? The results on the study found that workers are generally quite good at valuing their financial worth in context of their market, however there were a few exceptions. 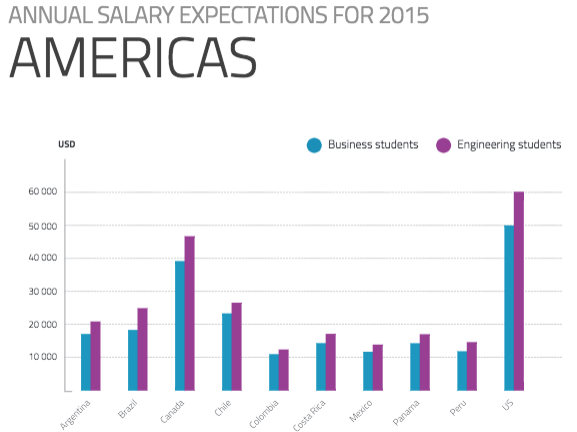 Engineers working in Brazil and South Africa expect to be highly compensated in comparison to the cost of living in their country, looking to earn $23,800 per annum. On the other hand, engineers in many of the Eastern European markets, Singapore and Hong Kong are willing to accept relatively modest salaries. 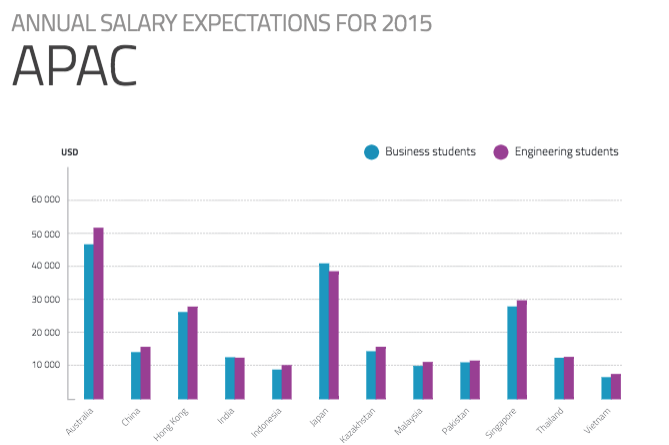 The highest earning engineers are those from Saudi Arabia, expecting $88,518 per annum. Candidates in Switzerland and the United Arab Emirates also expect a rather generous salary, asking for $83,432 and $81,422 per year. At the other end of the spectrum are Ukraine and Vietnam, who only expect to earn $5,240 and $7,597; a stark comparison to those in the highest earning nations. How significant is the gender pay gap? The findings of the survey indicated that men expect to be earning significantly more than their female counterparts. Men in business expect to earn $3,263 more than women in similar roles, while male engineers will earn $3,179 more. This may be held accountable to men having a tendency to demand and negotiate more than women do. How do salary expectations affect recruitment and talent acquisition? Employers must know their market expectations. In order to attract the top talent, they must be able to offer a competitive salary, or workers will go elsewhere. In relation to the gender pay gap, if businesses were to offer a higher salary to women it would benefit them by attracting the top female candidates, as well as boosting their brand among the female demographic by taking the initiative to address the pay gap, rather than following market trends. Find out more about the findings of the survey below.